Our home was a foreclosure that had been vacant and vandalized for years before we got it. Even light switch covers and closet rods were gone - everything. This meant buying lots of light fixtures. I picked a look I loved at a lighting store that was not expensive, then asked for a discount. Because I got five in this series they gave me a contractor's discount. 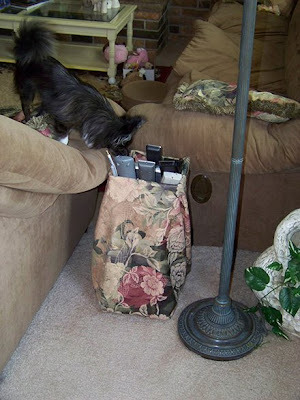 Then I needed a pole lamp for the living room. I found one at Walmart with a similar elaborate pattern to it, but the colors were wrong. Amazingly the glass matched! I got a $.98 bottle of acrylic paint of the blue/green patina that was on the other fixtures. I painted it on the pole lamp, let it dry a little while and wiped it off with a dry cloth. It just stayed in the crevices making it look just like the rest of the fixtures. You see the foot and pole in this photo. No amount of washing over these 11 or so years hasn't altered it one bit! The total cost was $.98 plus tax and time spent was about 15 minutes! And how is this inspirational? We are to be good stewards of all God gives us! This is not only saving money, but recycling! Praise the Lord in ALL THINGS! If you'd like more of these, let me know and have a super day! 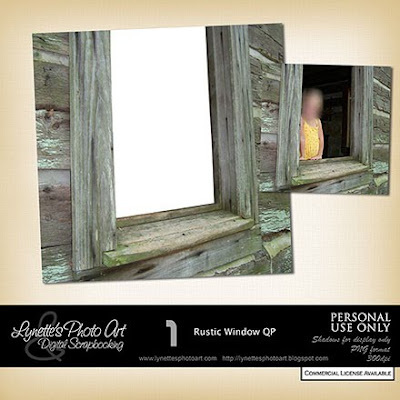 Here's your goodie for today - a Rustic Window QP! If you download, please leave me a comment at the bottom of this post as I have disabled 4shared comments. This helps me to know what you like for the future and please support this blog by shopping my PayPal store. God bless you! Link expired. Now available in my PayPal store. If you can't find it e-mail me. Thank you so much for this Freebie. I want to let you know that I posted a link to your blog in Creative Busy Hands Scrapbook Freebies Search List, under the Page 3 post on Aug. 23, 2009. Thanks again. Thank you for the lovely Qp - it's fabulous! this is just great! thanx a bunch!! 24 August 2009 - freebies and tutorials list - 1 of 3. This is SO creative! Thank you for sharing!